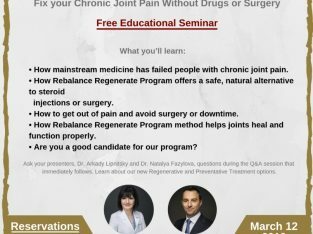 Dr. NATALYA FAZYLOVA, DNP, ANP-BC, BCIM Wellness and Lifestyle Architect Natalya Fazylova is a Doctor of Nursing Practice and an Associate Professor at the City University of New York. 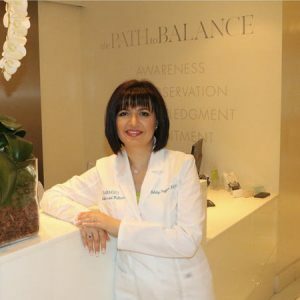 In her postgraduate education, Dr. Fazylova became a certified Chinese Herbologist through the New York Institute of Herbal Medicine and an Aesthetic Skin and Laser Specialist. She is ANCC Board Certified in Adult Health, as a Holistic Health Practitioner by the American Association of Drugless Practitioners and Board Certified as an Integrative Medicine Practitioner by The American Association of Integrative Medicine. She is an avid researcher with a lifelong passion for leading edge wellness and aesthetic treatments. 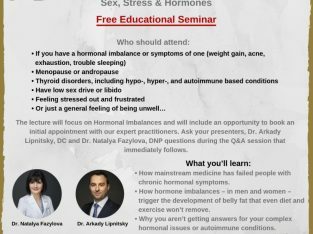 She is the author of the international best seller “Health and Wellness for Busy Women.” Dr. Fazylova’s passion is to provide a holistic and integrative care bringing healing modalities from both Eastern and Western Medicine in her practice. She focuses on finding the root cause of your health issue and designs an individualized 360 degrees approach to your well-being. 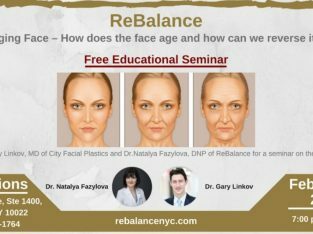 The launching of ReBalance is the culmination of Dr. Fazylova’s lifelong dream to mentor clients on their paths to Longevity, allowing them to lead healthier and happier Lives!